The 26th March saw the election of Ms Carrie Lam as Hong Kong’s new Chief Executive for a five year term (which can be renewed once). Ms Lam faced two other candidates – a retired judge and the former Financial Secretary. Ms Lam is a life-long civil servant having served most recently in the top administrative job in Hong Kong. Ms Lam was elected by a 1200 strong electoral college consisiting of people drawn from business and other groups. Many were appointed to the college but some were in turn elected through various constituencies. I personally had to vote for 27 of them because of my membership of three business functional constituencies. (In Hong Kong elections I get four votes – a geographical one and three others – very democratic!) Of course electing someone to the electoral college does not bind them to vote for any particular candidate so I used my time-honoured method of choosing all the prettiest females. However I wish Ms Lam well in her new job. Many people complain that the election is fixed by China since all candidates have to be acceptable to the authorities in Beijing. I think that a Chief Executive who isn’t trusted by China would be a disaster for Hong Kong. (Some of you may recall the wasted years when Chris Patten was Governor.) Hopefully Carrie Lam will stand up for and strongly promote Hong Kong’s interests. Zetland Fiduciary Group would like to introduce Personal Information Log (“PIL”) which is intended to facilitate the location of important documents and information in the event of death or incapacity. Its main purpose is to help with the practical difficulties of organising matters at a time when close relatives may be distressed. Zetland’s PIL may be used simply as an aide memoire; printed as a hard copy document (and manually completed) or used as an updatable electronic document in pdf format. In the latter case the PIL should be password protected and stored securely. Zetland’s PIL is not a Will and should not be regarded as such. It should not contain instructions about what should be done with money or possessions. It is simply a record of where your key personal records, assets and papers can be located. If you have not made a Will, you are strongly advised to do so and Zetland can assist in drafting Wills. It is suggested that a responsible adult is made aware of the existence/location of this PIL (and access password if used) and/or a copy should be given to a close relative/executor or trusted professional adviser as a precaution against a common calamity. It is important that the PIL be kept up to date for material changes. Philip’s remedies are essentially to think about things carefully; to plan properly and hold open discussions within the family. He is very conscious of the cultural constraints facing families in Asia in particular. 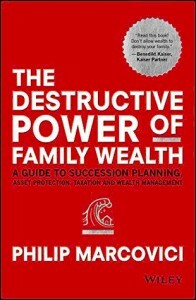 This is a book that is recommended to both practitioners and families. It can be purchased through Amazon. We would like to announce opening the new Zetland office in China. After several months for preparation, Zetland Fiduciary Group Limited, Beijing Office was formally established on February 13, 2017. As the core of the northern market in Mainland China, Beijing office will provide professional, perfect and convenient business services with the clients located in Northern China. Hong Kong extends the list of reportable jurisdictions for AEOI purposes. Hong Kong announced its support for the implementation of Automatic Exchange of Financial Account Information (AEOI) in September 2014. Under the AEOI standard financial institutions in Hong Kong are required to identify and report to the Inland Revenue Department (IRD) the financial accounts held by tax residents of overseas reportable jurisdictions in accordance with due diligence procedures on annual basis. The first reporting of information to the IRD will be due in May 2018. Since Hong Kong is not a sovereign jurisdiction, it cannot be a direct signatory to the OECD multilateral agreement. 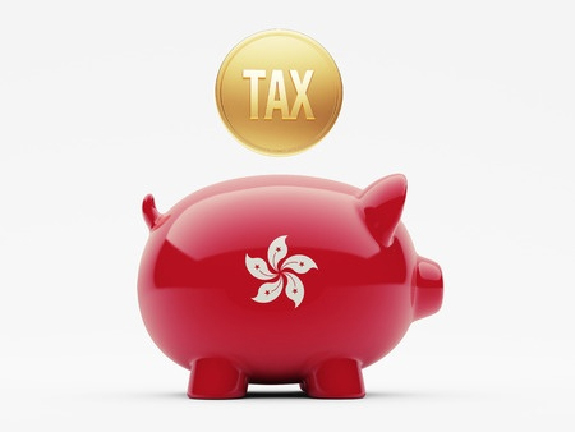 In order to exchange financial account information with other jurisdictions, Hong Kong needs to have or enter into a Double Taxation Agreements or Tax Information Exchange Agreements and to conclude a Competent Authority Agreement with the targeted jurisdiction. On 16th of March Hong Kong signed a Competent Authority Agreements with 6 countries – Belgium, Canada, Guernsey, Italy, Mexico and the Netherlands for conducting automatic exchange of financial account information in tax matters. These countries will join the United Kingdom, Japan and Korea as reportable jurisdictions under the IRD Ordinance which already came into effect on June 30th 2016. For further information, please contact Alina at alinam@zetland.biz. 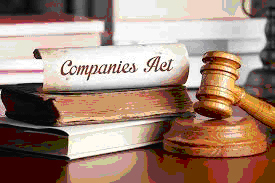 Singapore will be making significant changes to its Companies Act and Limited Liability Partnership Act, which will come into effect from 31 March 2017. The Companies (Amendment) Bill 2017 and Limited Liability Partnerships (Amendment) Bill were passed in Parliament on 10 March 2017, to ensure that our corporate regulatory regime continues to stay robust and supports Singapore’s growth as a global hub for businesses and investors. It also aligns Singapore with more stringent international standards for combating money laundering and terrorism financing. To uphold Singapore’s reputation as a trusted and clean financial hub, the ownership and control of business entities will be made more transparent with all companies and Limited Liability Partnerships (“LLPs”), unless exempted. With effect from 31 March 2017, all companies and LLPs are required to obtain and maintain beneficial ownership information. These information are not made available to the public but are to be maintained at the registered office of the registered filing agent or the company’s/LLP’s registered office. Two new registers are being introduced. A beneficial owner or a controller can be an individual or a legal entity that has more than 25% interest in or control over a company. If 2 or more individuals/legal entities jointly have an interest in a share, or jointly hold a right, each is considered as having an interest in that share, or as holding that right. Locally incorporated companies will be required to disclose their nominee status and nominators of their companies. Information to be included in the register are prescribed particulars of the person of whom the director is a nominee, and any changes in director’s particulars and/or status as nominee. This reduces the risk of nominees being facilitators of money laundering and terrorist financing. In addition, companies and LLPs will be given the option not to use the common seal. Companies can choose to retain the use of common seal based on business needs. The above amendments will take effect on 31 March 2017. Introduction of an inward re-domiciliation regime which allows foreign corporate entities to transfer their registration to Singapore. Foreign entities must be bodies corporate that can adapt their legal structure to the companies limited by shares structure under the Companies Act. In addition, they must meet certain prescribed requirements and their application will be subject to the Registrar’s approval. This legislation amendment will take effect within the first half of 2017. To reduce the compliance costs and administrative burden of companies including small medium enterprises. Private companies need not hold Annual General Meetings subject to specified safeguards. The timelines for holding AGMs and filing of Annual Returns will be aligned with the companies’ financial year, to simplify the requirements. The above amendments are targeted to be implemented early 2018. Zetland is a registered filing agent with the Accounting and Corporate Regulatory Authority of Singapore. We will devise a proper and adequate procedure to identify, obtain and update information on their ultimate beneficial owners or controllers. Notices will be sent to potential individuals to ensure they are aware of these details. Under the “territorial source” concept for Hong Kong taxation, different tax treatments apply to the royalty income for the use of intellectual property (“IP”) received by either a Hong Kong resident (i.e. a person who carries on trade or business in Hong Kong) or a non-Hong Kong resident. The board guiding principle in determining the source of royalty income is that “one looks to see what the taxpayer has done to earn the profits in question and where he has done it”. The source of the royalty income is determined by the place where the IP was developed as the effort and expenses in developing the IP were very likely incurred in Hong Kong. In addition, the place of use of the IP is not relevant in determining the source of royalty income. As such, the royalty income derived from licensing of IP is fully taxable under Hong Kong Profits Tax. If the Hong Kong resident acquired the proprietary interest of the IP, the place where the IP being used by the licensee is used in determining whether or not the royalty income is subject to Hong Kong Profits Tax. In other words, royalty income derived from the licensee for the use of IP in Hong Kong is taxable while royalty income derived from the licensee for the use of IP overseas is not taxable. If only the licence to use the IP is obtained from its owner by the Hong Kong resident which then sub-licenses the IP to another party outside Hong Kong, the place of acquiring and granting the license is taken in determining the source of the royalty income. In other words, if both the acquisition of the licence to use the IP and granting of the sub-licence are in Hong Kong, the royalties derived from sub-licensing the IP is sourced from Hong Kong and subject to Profits Tax. For royalties from Hong Kong received by or accrued to a non-Hong Kong resident not carrying on business in Hong Kong, the IRD follows Section 15(1)(a), (b) and (ba) of the IRO instead of Section 14 of the IRO in charging the non-Hong Kong resident for such royalty income. The royalties, not otherwise chargeable to Profits Tax, shall be deemed to be receipts arising or derived from Hong Kong from a trade, profession or business carried in Hong Kong and the assessable profit of the royalty income is deemed to be 30% of the gross receipts (the percentage would be changed due to double tax agreement / arrangement entered into between Hong Kong and the respective country of the non-Hong Kong resident as tax resident). However, if the payer and recipient of the royalty income are associated and the IP was once owned in Hong Kong, the full amount of the royalties is deemed to be the assessable profit.